Welcome to part twelve in our series of articles on money saving tips for families. Have you ever received a gift voucher and thought ah, if only it was for (insert favourite shop)? Or are you a bargain hunter? Either way there is a great app called Zeek which can help. Zeek is your number one marketplace for gift vouchers. Whether you’re buying, selling or simply swapping, it means your valuable vouchers do not go to waste. Over 30% of vouchers are wasted worldwide each year, which equates to over £65 billion being effectively thrown in the bin. 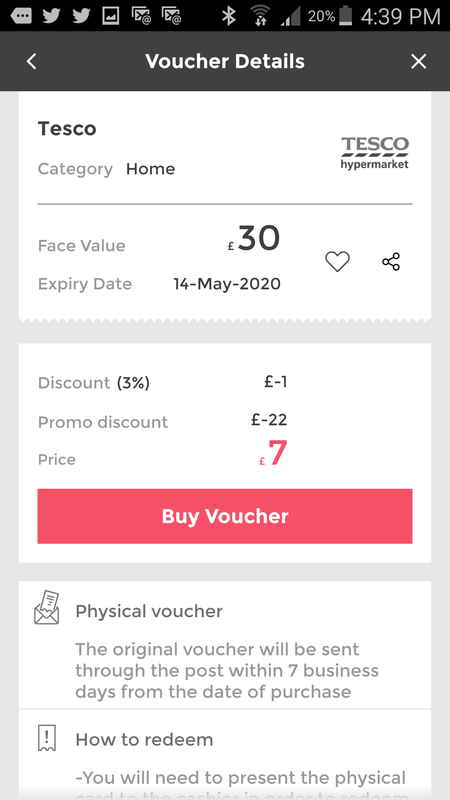 If your voucher is about to run out, you’d like to save some money or you’d simply rather have the cash to spend on something else – Zeek is the app for you. 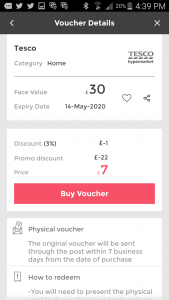 Zeek also makes it easy to earn cash on your unwanted vouchers – using your smartphone, simply take a picture of your unwanted gift card or voucher and upload it directly to the platform. Fill in some additional details and set your selling price. 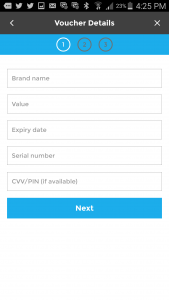 Once sold, you will receive the cash directly into your chosen bank or PayPal account. It couldn’t be simpler. 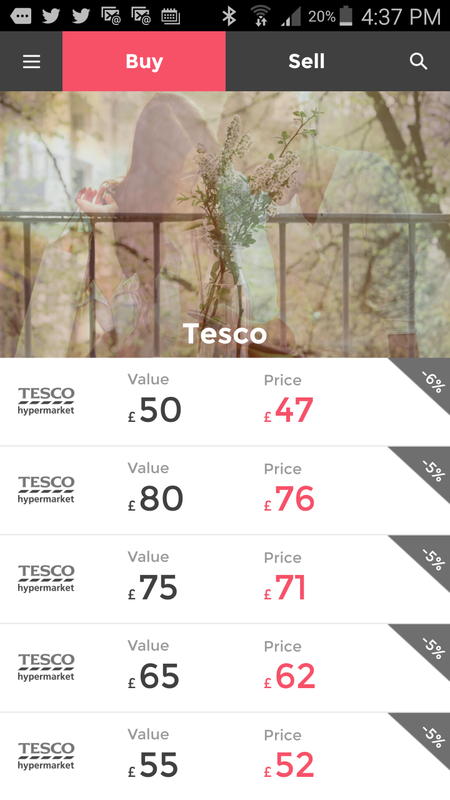 Alternatively, if you were looking to buy something special in say, Reiss but were indecisive about the price, you could log onto Zeek and purchase a voucher worth £150 for only £110, making a saving of £40. 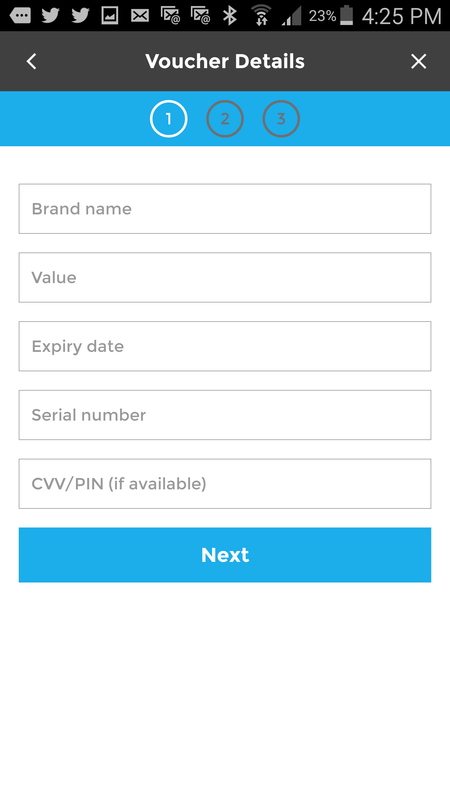 Zeek is very easy to use, simply download the app, create an account and start shopping smartly! 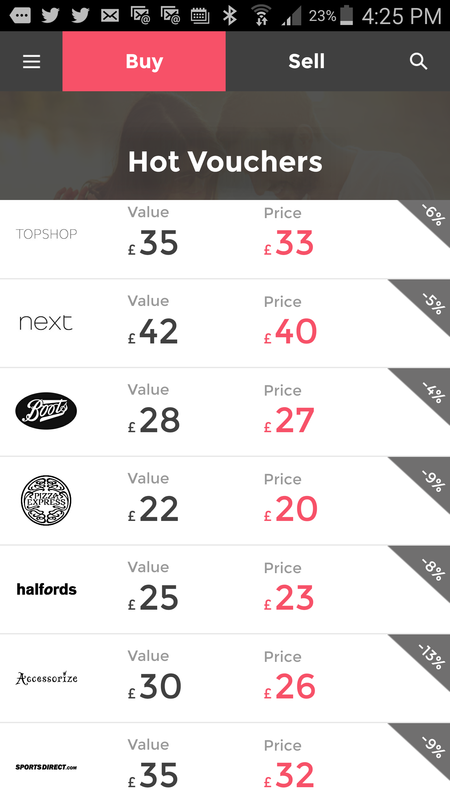 As many vouchers are user generated, there is a wide range of retailers, discounts and values available. The smart search engine enables you to find the right deal for you. If you want to make your money go further, or don’t want to pay full price for anything ever again, then Zeek is for you. Take tesco as an example. 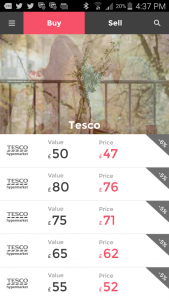 When I looked on the app you could buy all these tesco vouchers for less than their value. I bought two tesco vouchers and added them to another gift card I already had and bought a new vacuum cleaner. You simply search for what you are looking for and you can even pay with PayPal. The vouchers get sent to your house and you then use as normal. The bigger the value the greater the saving so it is certainly worth looking if you are buying a high value item from a store. 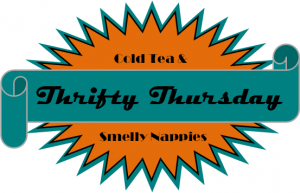 You are told the expiry date so no problem there. With the two vouchers I bought I made a saving of £17. Have you tried Zeek before? I will certainly be using the app again. Must have been lol ! I only became aware of Zeek via another blog last week, so I’ve registered but I’m yet to use it.